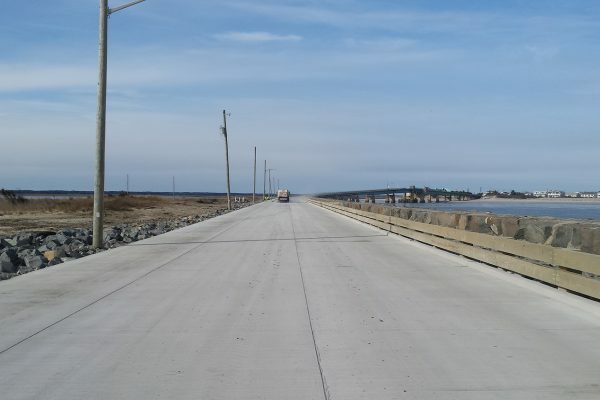 The major challenge on this project was to reconstruct the Ocean Drive roadway and seawall throughout the winter months immediately adjacent to one of the worst coastal inlets in the State. 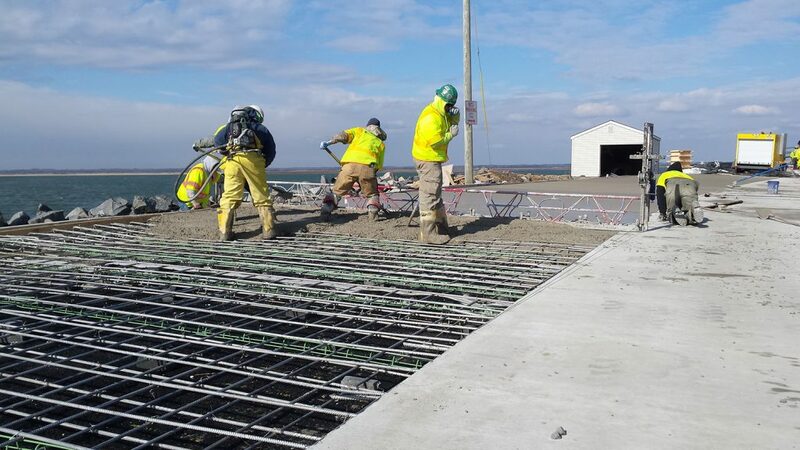 Additionally, the project schedule required seasonal completion of our work before the summer tourist season. 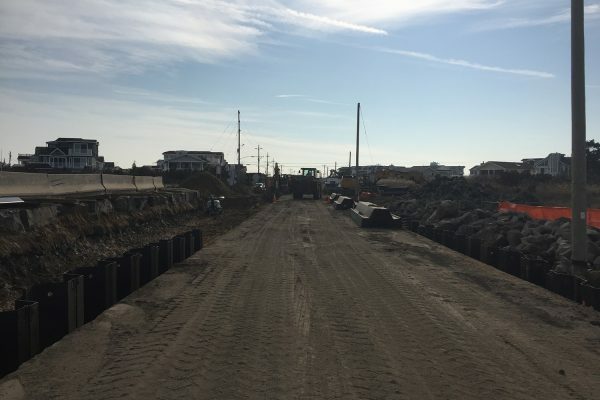 South State gained approval from Cape May County, designers, and local municipalities to change project staging in order to complete the multi-year project over a single three month winter season. 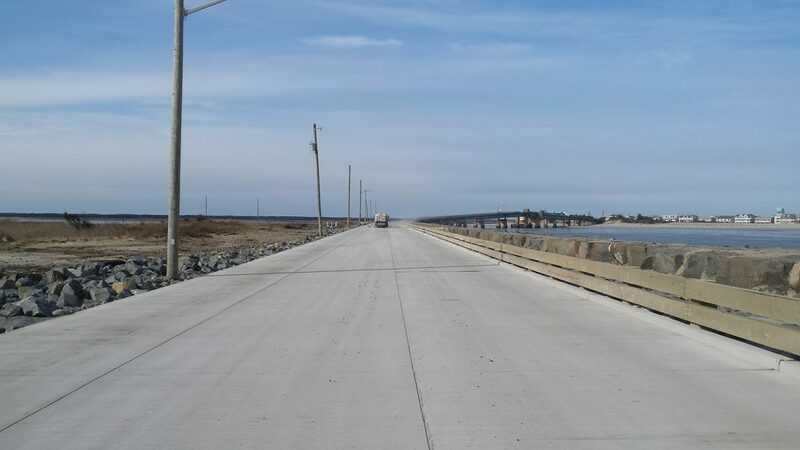 South State utilized multiple shifts, extended hours, and weekends to have the two lane roadway open to traffic before Sea Isle City’s Polar Bear Plunge which brings tens of thousands visitors to the area. 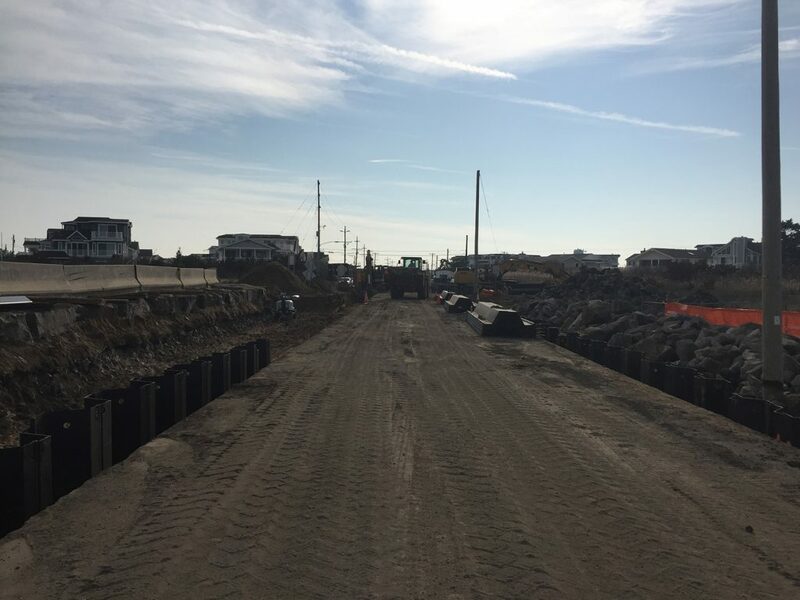 Work included removal of the existing roadway and installation of steel sheet piling on the Northbound and Southbound shoulders to protect the roadway from future erosion. 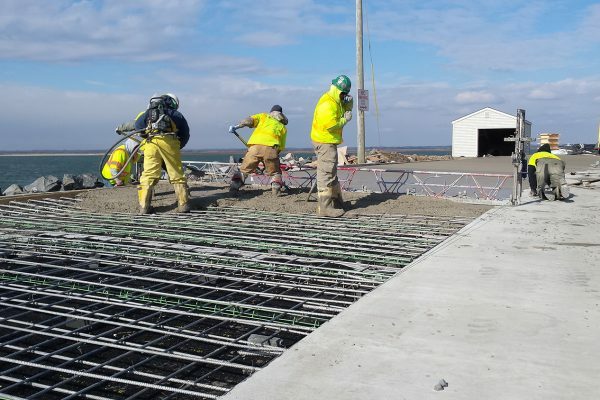 The reinforced concrete roadway was poured on top of the sheeting and designed to allow the water to flow over top of the roadway during a storm without washing away the roadway or embankment.